Jim Schley is the Vice President of Engineering at Codeship. This week, we had the chance to sit down with Jim to discuss his background, why he joined Codeship, and much more. I’m Jim Schley, VP of Engineering at Codeship. Outside of work, I’m an avid skier, runner and cyclist. I also love music, cooking, eating (bacon is one of my favorites), and exploring new places. 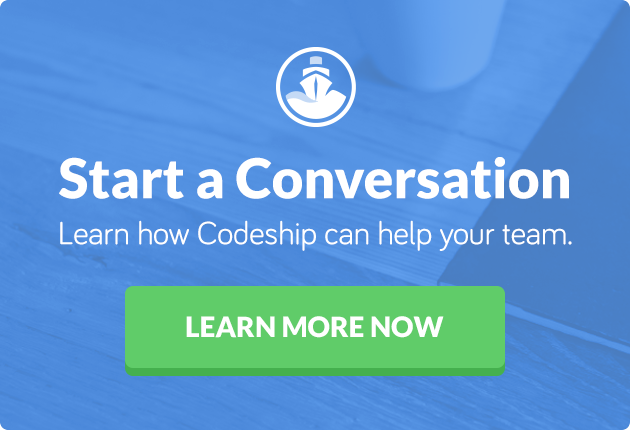 Where were you prior to Codeship? Prior to Codeship, I worked for a number of Boston-based startup companies, including Aereo, Brightcove and Bullhorn. Before that, I had a pretty long tenure with Adobe Systems. Can you tell us about your role at Codeship? At Codeship, I lead our software development efforts. I’m very fortunate to have an amazing team of software engineers who are distributed around the world from central Europe to the Pacific Northwest. They really are a great crew who truly care about software craftsmanship. I love working for Codeship because of the people, first and foremost. Close behind that is the unique opportunity we have to build an awesome product for other software developers. We get to produce a tool that makes their jobs better and their companies more successful. It’s also cool that it’s a critical tool for us. There are some really amazing opportunities to join Codeship right now across all our departments from software engineering where you can contribute to an industry leading development tool to marketing and sales where you can be integral to getting the word out about our product and getting it into the hands of engineers.